With effective facilitation, listening and process design, Kristina Smock Consulting brings multiple interest groups together to develop shared goals, strategic frameworks and policy proposals. Kris begins each stakeholder facilitation project by meeting with participants to assess the interests at stake and the political dynamics at play. Kris then designs a customized step-by-step process to effectively move stakeholders forward in reaching collaborative decisions. Her approach is distinguished by a focus on using inclusive engagement to reach clear decisions and concrete deliverables through a structured process. Deliverables can include strategic plan documents, formal reports summarizing shared priorities or policy recommendations, and internal documents outlining group decisions and next steps. Community Development Network, Permanent Supportive Housing Project: Coordinated a strategic planning process involving multiple stakeholders and conducted research to address the technical and resource barriers to developing permanent supportive housing, 2005-2007. Oregon Opportunity Network, Resident Services Opportunity Project: Coordinated research and stakeholder engagement with a statewide network of affordable housing organizations to develop recommendations for supporting the stability and success of low-income tenants, 2010. 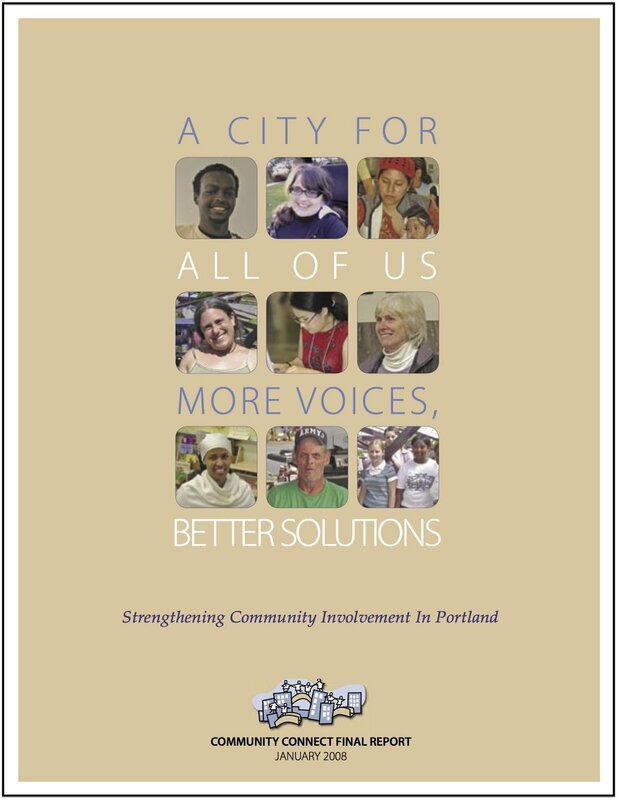 City of Portland Mayor’s Office, Community Connect: Coordinated research and stakeholder engagement to develop policy recommendations to increase community involvement in Portland, 2007-2008. Oregon Campaign for Economic Justice, Coalition Coordinator: Coordinated a statewide coalition of community organizing and advocacy organizations working to impact state-level public policy through grassroots organizing and popular education, 2002-2004.